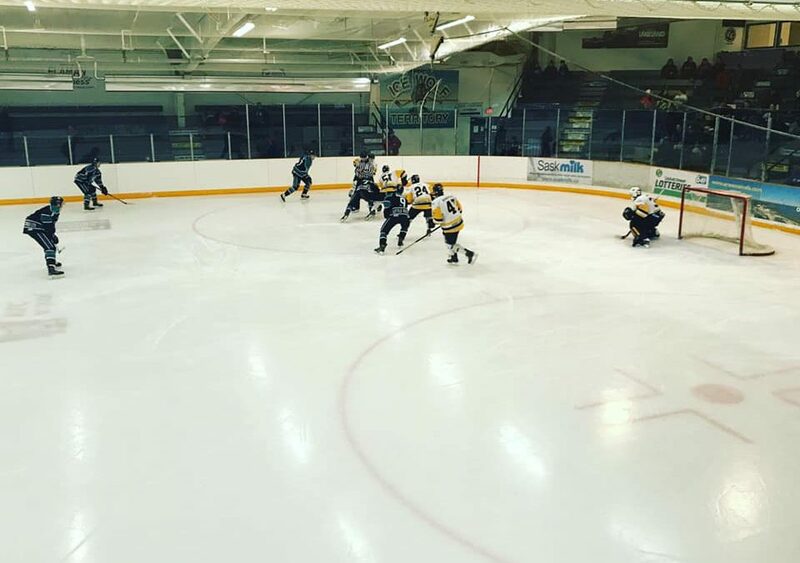 The La Ronge Ice Wolves were looking to snap an eight-game losing streak, but ended up falling 3-2 at home to the Nipawin Hawks on Tuesday night. The Hawks opened the scoring 3:07 into the game on the power play when Brodie Girod snapped home his 10th of the season on the ice past Jordan Frey, who finished the game with 33 saves. Nipawin took a 2-0 advantage 5:57 into the first when Austen Flaman sent a shot on net from the high slot that ricocheted around and eventually found its way past Frey. The Hawks took a 3-0 lead 10:41 into the second when Walker Cote wristed home his second of the season on the power play. The Ice Wolves finally showed some life offensively 1:05 into the third when Zach Bannister notched his 21st of the season, which made it a 3-1 game. La Ronge would make things interesting with just 18 seconds left regulation when Bannister scored his second of the evening, but that is as close as La Ronge would get. With the loss, the Ice Wolves slipped to 10-37-1-1 on the season, which has them in last in the overall standings. La Ronge is 15 points back of Melville for the final playoff spot with just nine game remaining on their regular season schedule. The Ice Wolves will be looking to rebound on Friday night in Flin Flon when they meet the Bombers. You can catch the action on MBC Network Radio, the pre-game show gets underway at 7:15 p.m. with Braden Malsbury.